Time for me to tease you with some of the latest releases from C.C.Designs. This, of course is an image from Roberto, and she's called Honey. Don't you just love that cosy jumper and boots combo? If you can hear a funny noise as you read this post, don't worry. I suspect it is just Mrs A, saying something along the lines of Gimme, Gimme, Gimme! And no, that's not an Abba reference. She'll be all over this card, what with the pink, spots and dangly earings! Well that's just what I look like... of course.. (ahem)... And yes I'd LOVE a jumper just like that... and I'd love to be able to fit in one just like that too!! hehe! Another gorgeous card with your stunning colouring and doodling style.. I'll take the pink jumper too please!! Hugs Mrs A.
Gorgeous card and beautiful colouring as always Faye. Your coloring is getting better! How can you improve perfect??? 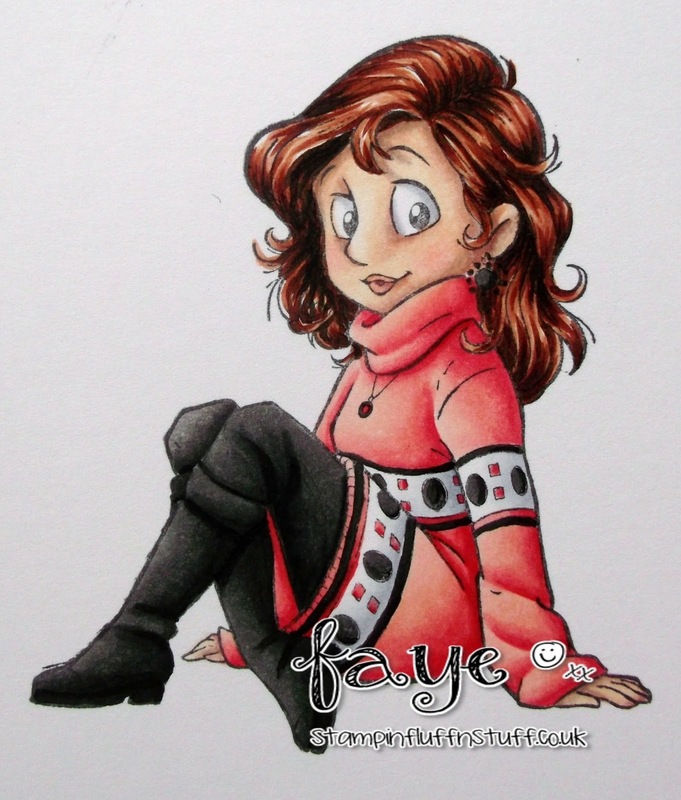 Wow, Faye! I love your card! Oh your card is so adorable and beautiful too.